Tragedy struck for Hull City midfielder Ryan Mason in his side's match with Chelsea on Sunday. Contesting a high ball with Gary Cahill, Mason inadvertently clashed heads with the Chelsea and England defender - resulting in a fractured skull and a stay in hospital. Mason remains hospitalised, though his club has confirmed that he is "in a stable condition". Upon suffering his injury in the 13th minute at Stamford Bridge, Mason received eight minutes of treatment, including being given oxygen, before he was taken off on a stretcher and to hospital, as The Telegraph reports. However, the other Hull players remained unaware of the injury's true extent until after the game, when they reacted with astonishment upon being given the news. Mason’s injury is the latest in a difficult succession of events for Hull's Portuguese boss Marco Silva, who only took the reins of the club earlier this month. Mason's own time at the club hasn't lasted long either, his club record £13m transfer from Tottenham having only been last summer. However, he has quickly become a popular player in a team currently reeling from a serious emotional blow. Mason was sent to London's St Mary's Hospital on Sunday and underwent emergency surgery that evening. Cahill, Chelsea captain John Terry and Blues assistant manager Steve Holland all visited the hospital that night, while Hull captain Michael Dawson went to see Mason on Monday morning. 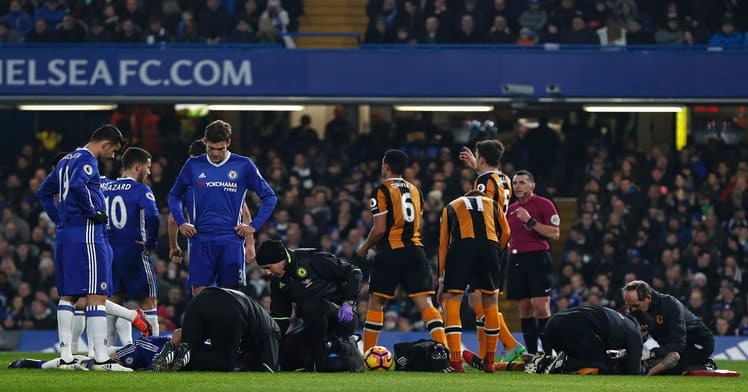 On Sunday evening, Hull released a statement confirming that Mason had sustained a skull fracture against Chelsea, but "is in a stable condition and is expected to remain in hospital for the next few days." The statement continued: "Everyone at the Club would like to express their sincere thanks for the excellent and swift care given to Ryan by both the Accident and Emergency department and Neurosurgery Unit at St Mary's Hospital." The following morning, Hull revealed that club secretary Matt Wild, club doctor Mark Waller and head of medical Rob Price had been among the people who visited Dawson that day. The update added: "Ryan has been speaking of the incident yesterday and will continue to be monitored at the hospital over the coming days". Mason and his family grateful for "overwhelming support"
Hull City also warmly acknowledged the "overwhelming support" sent to Ryan and his family, who "would very much like to thank all of those who have posted such positive comments both on social media and in the press over the last 24 hours." Cahill also received treatment after his head hit Mason's, but the Chelsea man was later allowed to continue playing. "We smashed heads, there was a massive impact and I know he went off," Cahill recalled. "I wish him all the best and hope there is no serious injury for him." Chelsea head coach Antonio Conte stated: "First of all, everyone at Chelsea wants to wish Ryan Mason the best." He added: "It was very bad, this accident. Everyone at Chelsea hopes to see [Mason] recovered and on the pitch very soon." 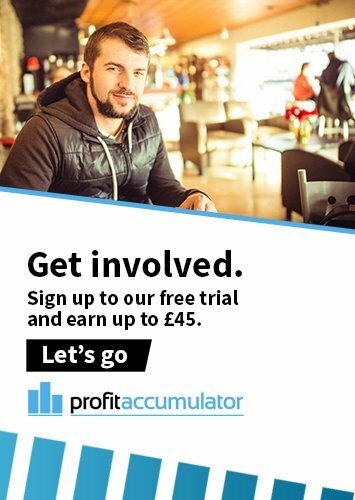 Here at Profit Accumulator, we also send our best wishes to Mason and hope he makes a quick recovery at St Mary's Hospital, which is one of the capital's leading acute trauma centres.